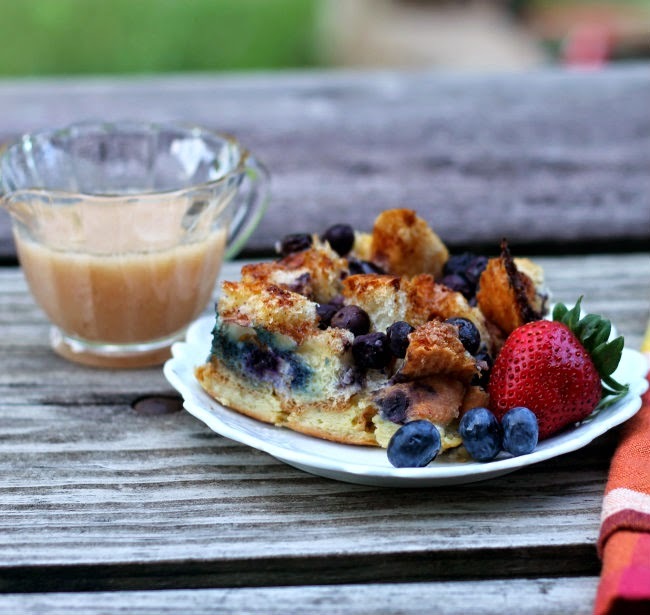 A new blog layout and baked blueberry French toast… life can’t get much better! First I would like to mention that I am thrilled to have a new layout to my blog. I love it and I am so excited with the new look. It is a good thing to have talented kids, my son Jon designed and set up the new header for me. I love the fresh and crisp look that the new one has. I would love to have some feedback, so if you wouldn’t mind please leave a comment to let me know if you like it or not. I do have things to change and to make better, but that will come as I have time. Now on to the rest of my post. We had a full house this past weekend; we had family from Florida and Illinois stopping in… some for the weekend and my father-in-law will be staying for two weeks. I love having a full house; it reminds me of when I was a kid when my relatives would come for the weekend. The house would be full… the adults would be playing cards and the kids would playing games outside. It is memories that I will cherish for the rest of my life. I knew that everyone would be hungry when breakfast would roll around and I did not want to be stuck in the kitchen cooking the whole time. So this is where the overnight French toast recipe comes in. This is not the first time that I have made one of these overnight breakfast recipes and I find that I love them. It is great to wake up in the morning and have a breakfast ready to pop in the oven. Plus I love that there are so many different ways to make it. 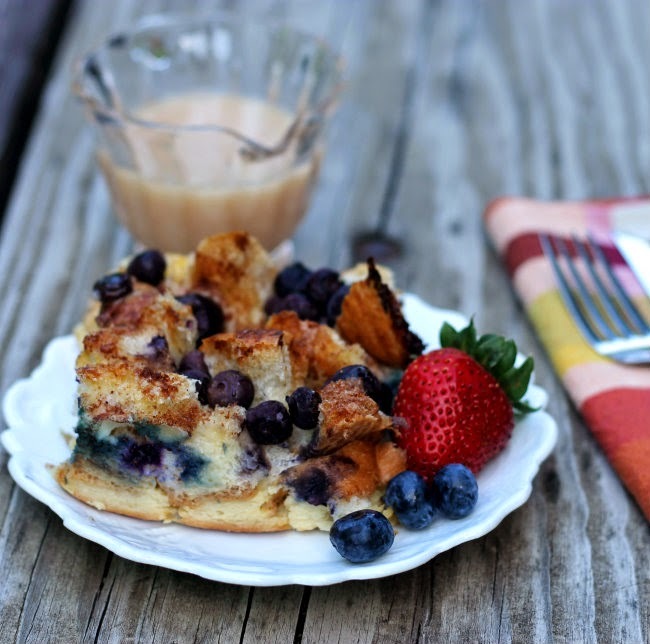 It is getting to be blueberry season that means that they are a little cheaper now, so I decided to pick some up for this French toast and I am glad that I did, they were perfect for this. I added a touch of almond extract which worked with the blueberries. I noticed people going back for seconds on this dish and I believe everyone enjoyed it… that is including me. 1. Spray a 9 by 13-inch cake pan with non-stick cooking spray. 2. Take a large loaf of French bread and tear it into small pieces and place it in the cake pan. 3. Sprinkle the blueberries over top of the pieces of bread. 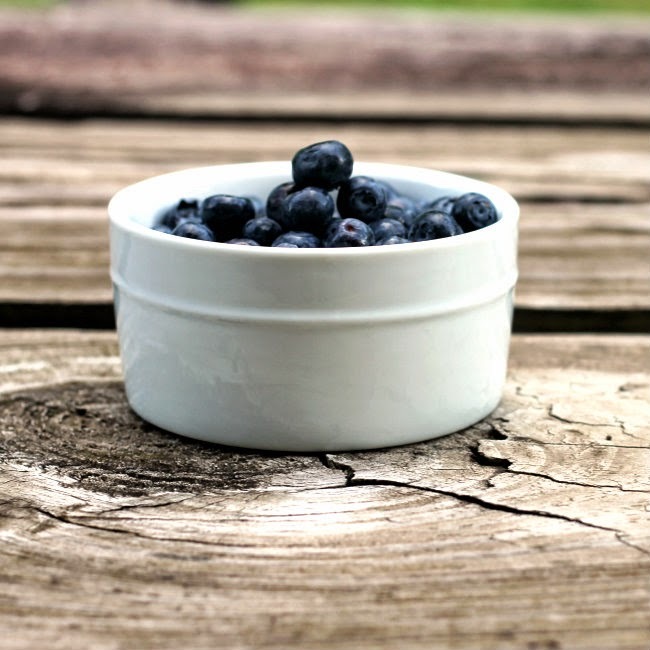 (Wash and dry the blueberries before this step). 4. Add the eggs, milk and almond extract and mix with a fork until everything is well mixed. 5. Pour the egg mixture over the bread and blueberries. 6. Mix the brown sugar and cinnamon until well mixed. Sprinkle this mixture over top of everything. 7. Cover with plastic wrap and set in the refrigerator overnight. 8. The next morning remove the French toast from the refrigerator while you preheat the oven to 350 degree F. Once the oven is preheated place in the oven for 40 minutes or until the bread is lightly browned. 9. Serve with your favorite syrup. I meant to comment this weekend that I loved the new header, but completely forgot. Whoops. But I agree, it looks so fresh and clean and pretty! Also, I would like this breakfast bake. For breakfast. I love your new look, so clean and easy to read. And I see you’ve really been concentrating on your food photography too. I’m jealous of your skills, wish my pictures came out this good. This French toast looks lovely! Just the thing to bring to a weekend brunch or a baby or wedding shower. Yum. The new look is great! Very clean, open, and inviting. And this dish is really inviting too! I’d love to have this for breakfast. Good stuff — thanks. I love the light, bright new look of your blog! Lucky you with such a talented son!!! And I always love an overnight breakfast casserole when we have weekend company. Yours looks perfect! I love your new look! And this french toast too! What a delicious thing to wake up to. I bet everyone loved it. 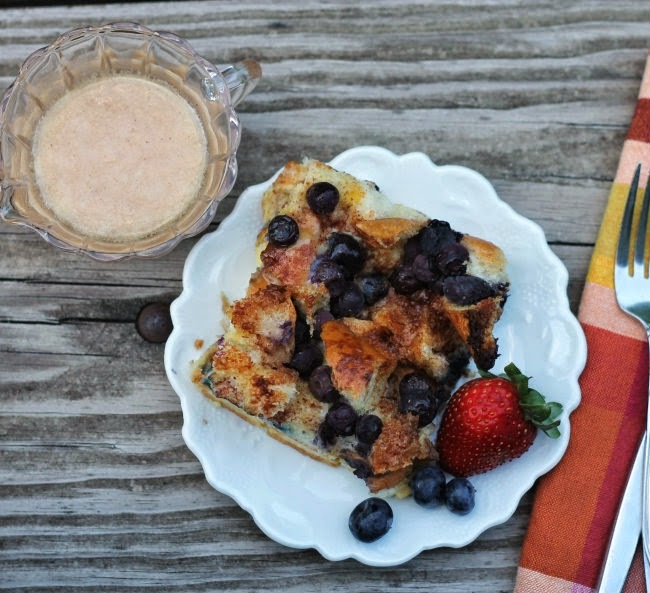 wow this looks too delicious.. love that its an overnight french toast recipe. definitely a recipe i will be recreating in my kitchen. thanks!